Sahir Hanif in his parents garage. The early days of Masters of Maple. 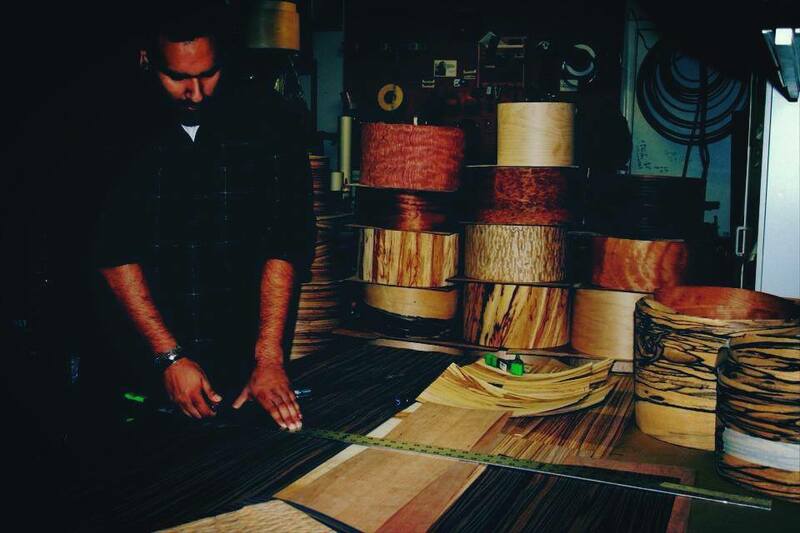 Established in 2002, Masters of Maple was founded in Southern California by Sahir Hanif. The Company is comprised of an eclectic group of individuals from a broad range of industrial and Creative disciplines, with a shared objective: to build the best drums in the world. In addition to Offering two distinct drum collections and a wide array of snare drums, Masters of Maple prides Itself on manufacturing ply drum shells in house. Each product is tailor made to suit the needs of a growing clientele of sonic aficionados the world over. Production and availability are extremely limited. Why would you want to play someone else's drums? If you wouldn't, you have come to the right place. Our process, and drums are unlike anything the world has ever known: kinda like you. In an era of mass production most things have become generic and impersonal. We believe that instruments are a reflection of the people using them. Drums are more than just "gear," they become your creative amplifier, and voice. Each drum is hand made in the United States, employing an array of manufacturing disciplines, and cutting edge technology. With such attention to detail we feel that limiting production allows us to make drums to the highest standard. Furthermore this gives us the freedom to tailor make drums for clientele that demand the best. We are growing our global network of the back line to meet the needs of the busiest artist roster in the music business. If you would like to rent a Masters of Maple kit or snare drum. Please email Backline@mdrums.com for a listing of our backline partners.